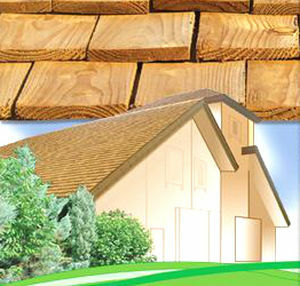 Wood shingle / for roofs - IB SAS LA TUILE DE BOIS "SOVECO"
Building & Construction > Roofing > Wood shingle > IB SAS LA TUILE DE BOIS "SOVECO"
Stand: IB SAS LA TUILE DE BOIS "SOVECO"
IB SAS LA TUILE DE BOIS "SOVECO"
Wooden tiles represent the perfect union of a recognized product with our experience. The natural colours perfectly match any environment and any type of housing, whatever the original color of its roof. Gradually the golden wood colour turns into a silvery wood colour giving your home an extraordinarily attractive covering. Beauty, comfort and an energy-saver ! * Resistant to icing, rain, wind, sun and hail.